Christmas is quickly approaching! This is not the time to panic. It's time to check all your lists again, finish up any last minute tasks & prepare to enjoy the season with friends & family. the week before Christmas should be spent relaxing at home, enjoying the company of friends & sharing simple traditions with those you love. 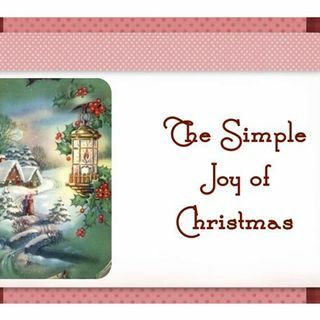 In this final series for the Holiday season, Jean Ann offers advice, tips & activities for you & your family designed to help all of you put ... See More the JOY back into Christmas. Take time in the days before the 25th to celebrate without the stress. Celebrate with Simple Joy!